Digital Media Systems has expanded its operations by moving from Brighouse to larger premises in Elland, in the heart of Calderdale, West Yorkshire. The digital signage specialist has repurposed and refurbished a run-down public house on the outskirts of the town centre. The new office and showroom now allow Digital Media Systems to showcase their wide range of signage solutions including digital menu boards, posters & easels, digital flip charts, collaboration tools, retail POS signage and purpose built outdoor totems. It also gives visitors the chance to see some of the amazing, eye-catching and dynamic content that is created in-house, bringing the signage to life. Avtar Singh, Managing Director said: “I am very excited about our recent acquisition; these new premises will be instrumental in achieving our growth plans over the next few years. The showroom allows us to highlight what our range of digital signage can do for business. It’s a lot easier for customers to come and have a ‘hands on’ session, play with the kit, and so be able to visualise how it will be received in their organisation. 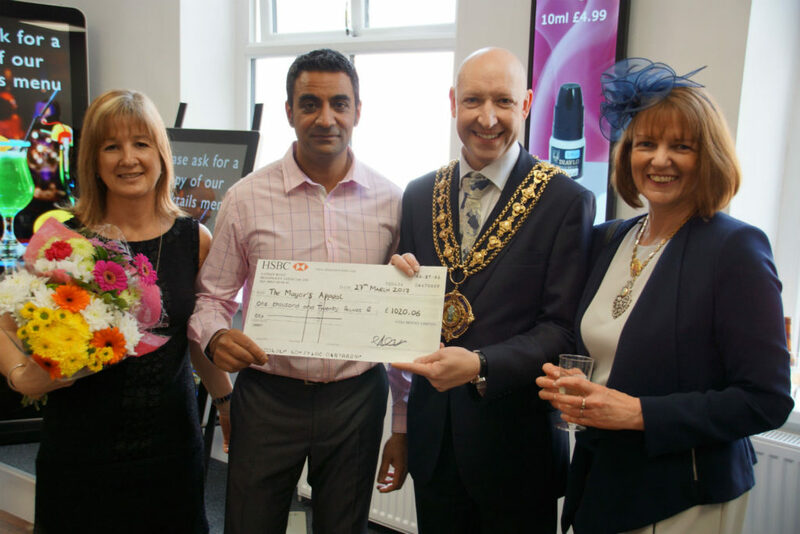 To mark the occasion, The Mayor and Mayoress of Calderdale attended the formal opening of Pressers House as well as collecting a donation of over £1000 from Digital Media Systems to the Mayor’s Appeal, which supports three local charities: TLC – Together for Looked-after Children, The Forget Me Not Children’s Hospice and The Brighouse Rest Centre. Formed in 2006, Digital Media Systems specialise in the provision of communication through bespoke digital signage and audio visual platforms. Clients range from independent fast food outlets, to internationally recognisable brands such as Liverpool Football Club, Williams F1, Channel Five, local and central Government, airports and famous UK landmarks, including Wales Millennium Centre, Festival Theatre Edinburgh, Norwich Forum and numerous Welsh Castles.